Once you decide on moving, the very next thought that would hit you in the head will be of the moving process. 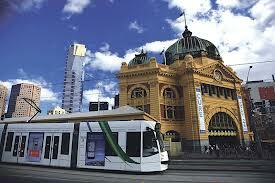 Since Melbourne is the business and culture heart of Australia, you will find a plethora of interstate removalists here. However, not all of them will be worth working with. You will have to be smart enough to choose the best removalists for the job. Check the experience of the removalists. Whether it is a company or an individual, you should always work with removalists with at least more than 3 years of experience. Tip # 2: Will They Take Charge? This is one of the major problems with removalists, especially the amateurs. If something goes wrong and you notice it after the job has been completed, nobody will take responsibility for it. In fact, most removalists would turn their back on you. This is the reason why it is always recommended to work with Melbourne Interstate Removalists who either offer insurance cover or some sort of guarantees against any damages. A removalist with an insurance policy is not enough. You need to understand how you can claim the insurance and in what circumstances. We all know how technical insurance policies are. When you make a claim, the insurance company will do its best to keep you away. Make sure you understand the insurance policy before opting for the removalist who owns it. How will the removalist shift your stuff from one place to another? Will they use containers on rail or simple trucks. Remember, even though containers sound better, the truth is they are not. The removalist who will pack the container will not be there when it is being unloaded. Therefore, it is best to stick with truck removalists, unless you don’t have a choice. Most Melbourne interstate removalists will boast themselves in order to get your job. Try to be smart and look between the lines. You need to be well aware of all the policies the removalist offers. Before hiring a professional removals company it is better to know their experience.Experience is important to consider. The logistics officer makes sure the company gets the best deal from carriers and the most money from the individual shipper.Also the intelligent and experienced staff take care of removal equipment. We are happy to help with all Interstate Removals furniture transit in Australia.